Rwraps™ Blonde Oak Wood Grain Vinyl wraps put you in control over the look of your ride's interior. Wrap your dash and interior components for a luxurious woodgrain look with this self-adhesive film that applies like a decal. Great for marine and architectural projects too! Rwraps™ Zebrano Mahogany Wood Grain wrapping films give you the unique look of Zebrano wood with a mahogany twist. Ad the exotic look of Zebrano woodgrain to your car, truck or SUV's interior or apply this self-adhesive wrap to your exterior, marine or architectural applications also. There are a number of great companies out there making high-quality, wood grain vinyl films that have real textures and come in a number of finishes and styles. 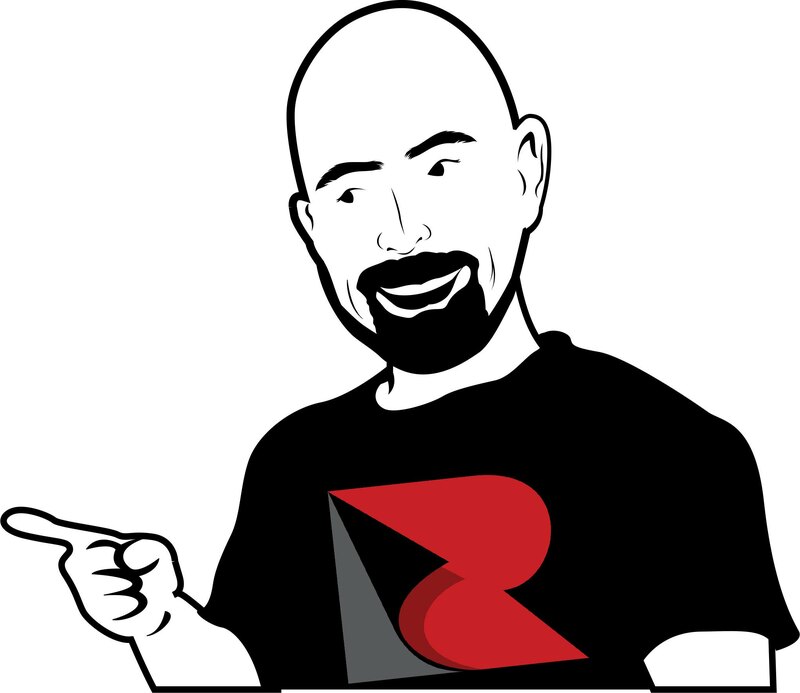 Belbien and 3M™ Di-Noc come immediately to mind but, although they perform well, are often priced way out of budget for most of us. 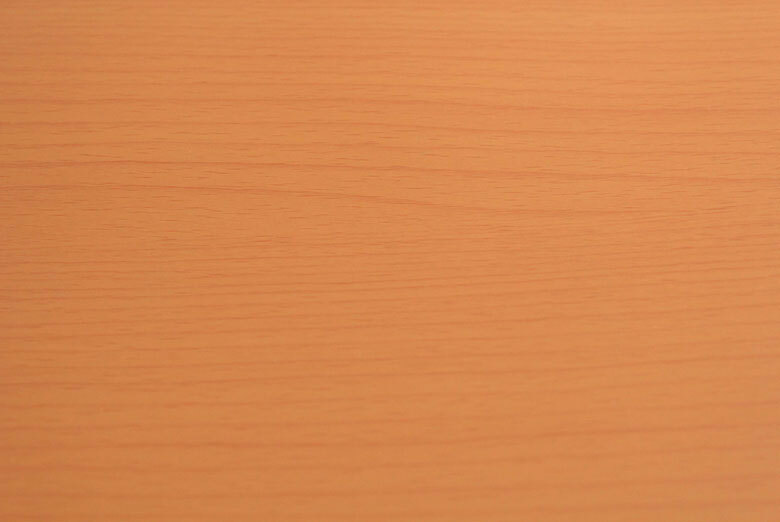 If you've been thinking of refacing your kitchen cabinets, dressing up your car's faded or scratched interior or want to add the look of real wood to anything with a hard, non-porous surface then Rwraps™ Wood Vinyl is just what you've been looking for. Rwraps™ Wood Grain Vinyl Wrap Films let you add the warmth and elegance of deeply textured woodgrain to just about anything. Produced and sold by an all-American company, every Rwraps™ wood vinyl wrap you buy ships directly from our warehouse in Brooklyn NY. Made from embossed and printed vinyl films all of these wood vinyl wraps have an actual grain that you can feel (unless otherwise noted). Upgrade your interior or refinish aging wood panels for less than you'd pay for a dinner for two! How Much Wood Vinyl Do You Need to Resurface Your Kitchen Cabinets? If you've been wanting to replace or repaint your kitchen counters and cabinets but just plain didn't have the time, money or patience then you'll be glad you stumbled on this page. With these Rwraps™ architectural films you can forget about the hassle of repainting or the cost of replacing them. All you have to do is clean them up, pick up a few rolls of Rwraps™ Wood Vinyl and apply them yourself in your spare time. Really, what could be better or most satisfying? But, before you can refinish your kitchen or bathroom cabinets you'll need to know how much vinyl film to buy which is why we've included this helpful graphic. Still not scratching your head over what the graphic means? 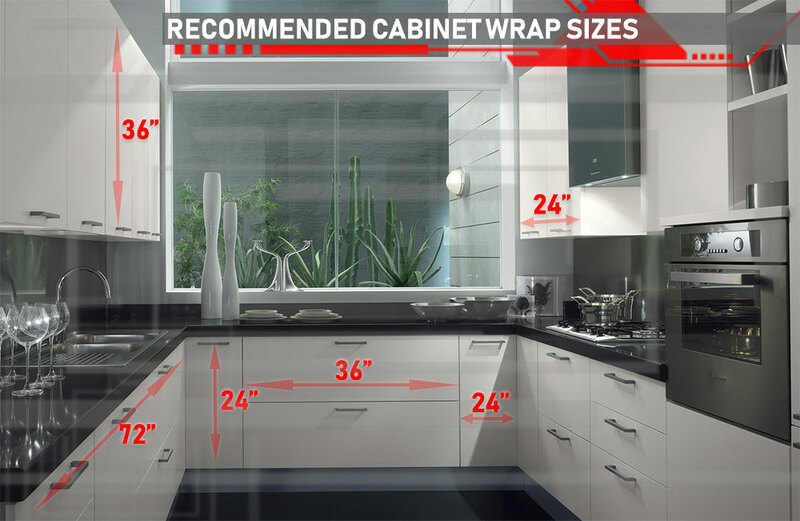 If so, we've listed some suggested wrap sizes you might want to consider if you're going to be wrapping part or all of your counters and cabinetry. Cabinet Doors: A 24" by 36" inch roll for each door is a safe bet. Wide Drawers: For wider drawers we recommend a 12" by 36" or 48" long roll. Small (Cutlery) Drawers: A 12" by 12" sheet should suffice. Standard (Bread) Drawers: 24" by 24" sheets of wood grain will give you more than enough to work with. Entire Standard Size Kitchen: We recommend using a 10 yard roll. Of course, as we noted in our last bullet point above, you may want to just buy a roll yourself and slit it as needed. We think it's a great idea and will certainly save you money but be please remember that all of our Rwraps™ Wood Grain films come at a maximum of twenty-four inches in length so plan accordingly. 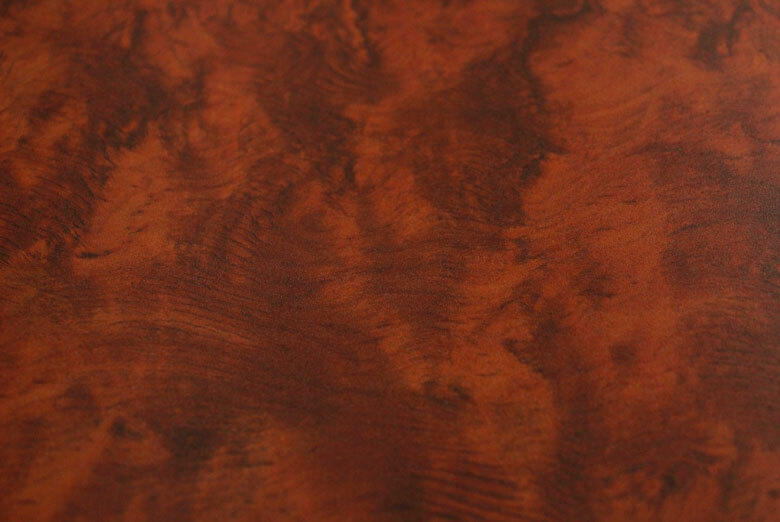 Our most popular wood grain film for refinishing cabinets, furniture and man-caves is our Honey Burlwood which features a dark amber field with complicated burlwood swirl patterns. 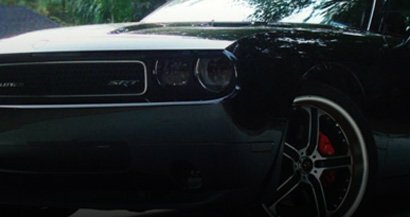 Use it to restore your dashboard or conceal scuffed door controls and panels. 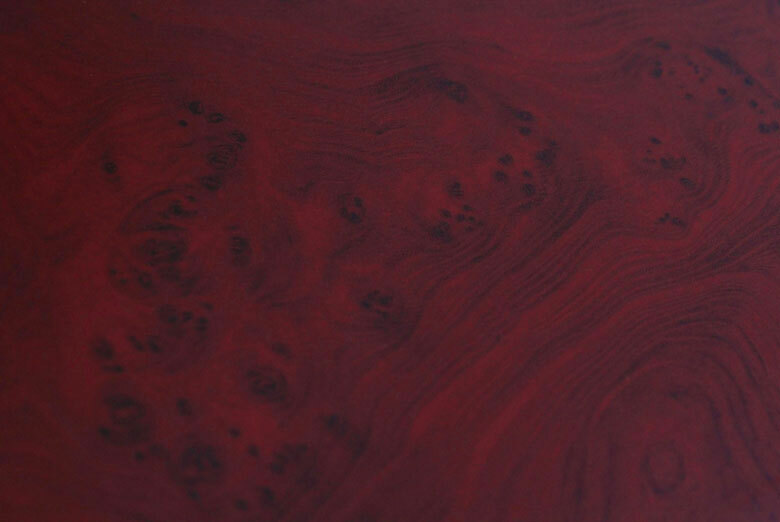 Looking for a higher-gloss burlwood? 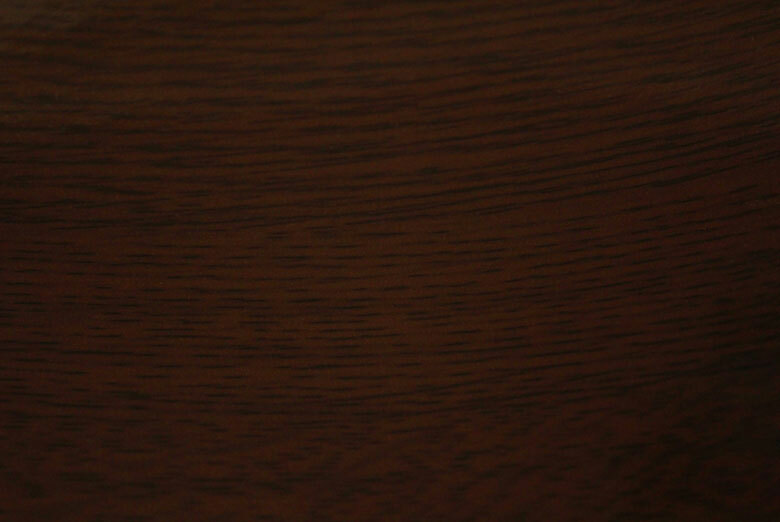 Rwraps™ Dark Burlwood film is a deep burgundy film that is perfect for any interior or architectural application. 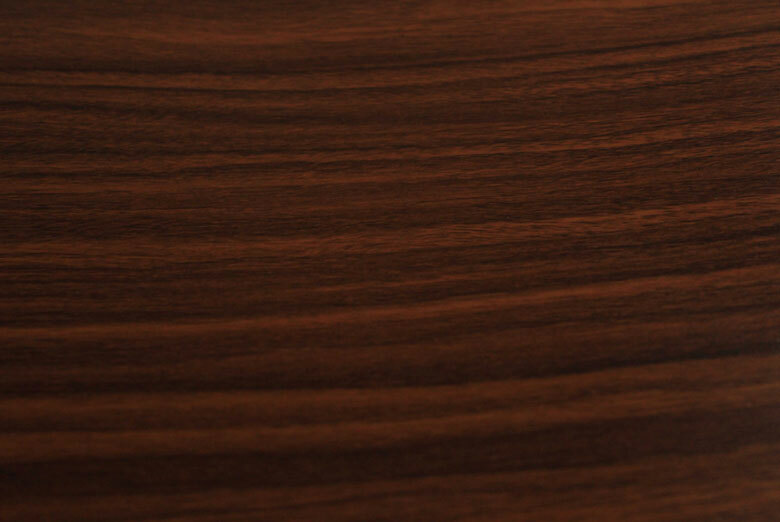 If you like the look of the Dark Burlwood but want a European, satin wood grain finish we think you might want to try our Matte Burlwood film. 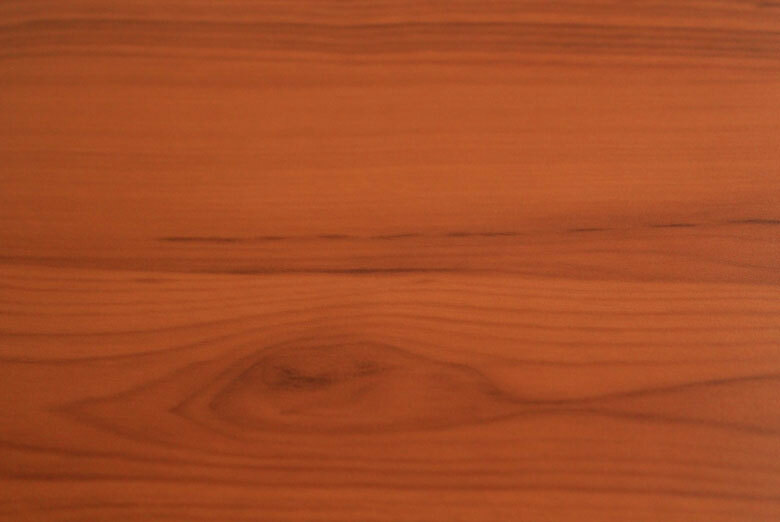 In addition to our burlwood wood grains we also offer a number of vertical grained woods like Mahogany, Zebrano, Cherry and a variety of Oaks. 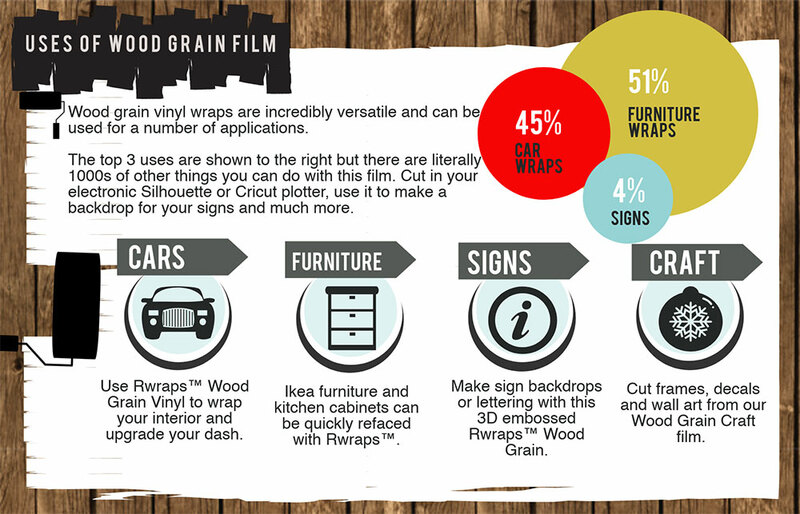 All f these great Rwraps™ wood vinyl films are sold by the foot and come to you in either 12-inch or 24-inch widths. 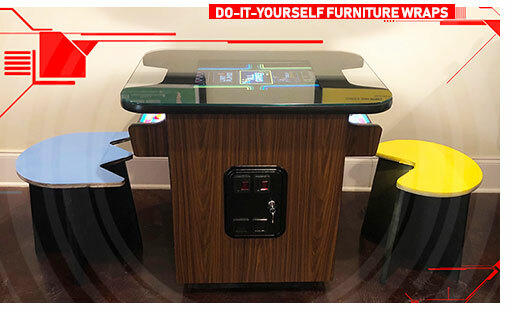 As you can see from the refaced Pac-Man arcade game pictured here, these wood films are a convincing and stylish way to restore almost anything you can think of. Buy only as much as you need and save yourself hundreds of dollars when you compare to what a shop would charge. 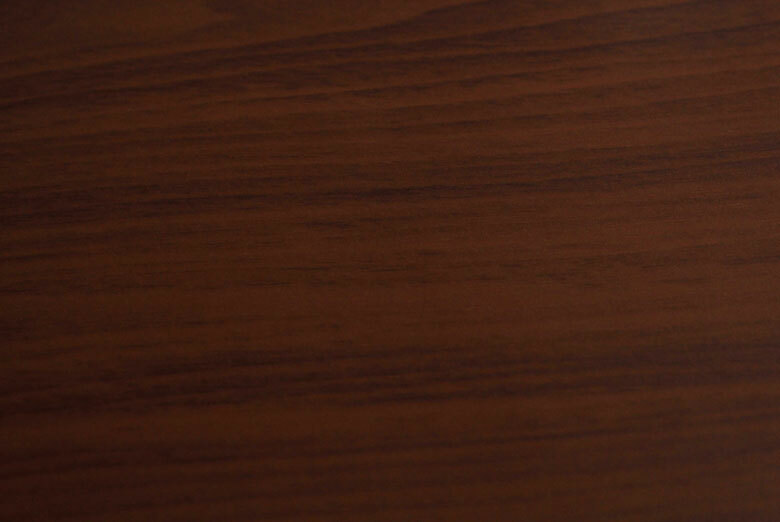 Why Choose Rwraps™ Wood Vinyl? The adhesives are semi-permanent meaning you can remove easily for up to a year after installation. In other words, you won't have to peel them off strip by strip. 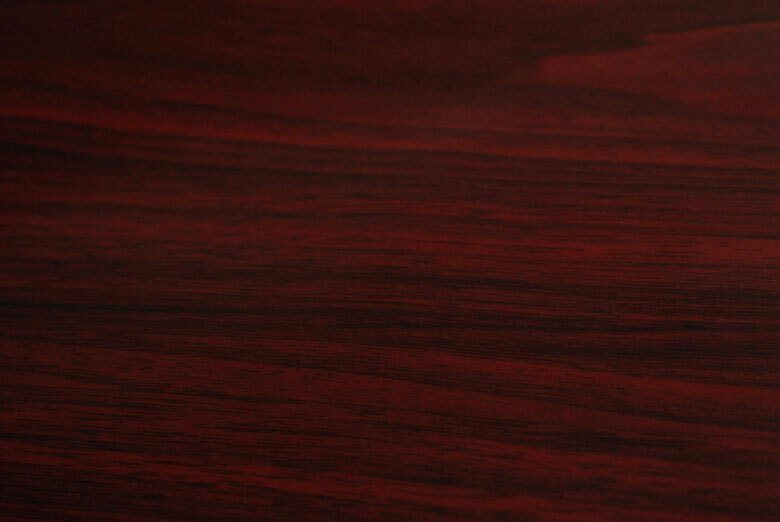 The wood grain has a texture you can actually feel. You can't tell the difference from real wood once you apply it! There's no minimum order quantity required. Buy a 12 by 12 inch sheet or a 24" by 10 yard roll. You can cut this our wood grain with ease in your Cricut or Silhouette plotter. 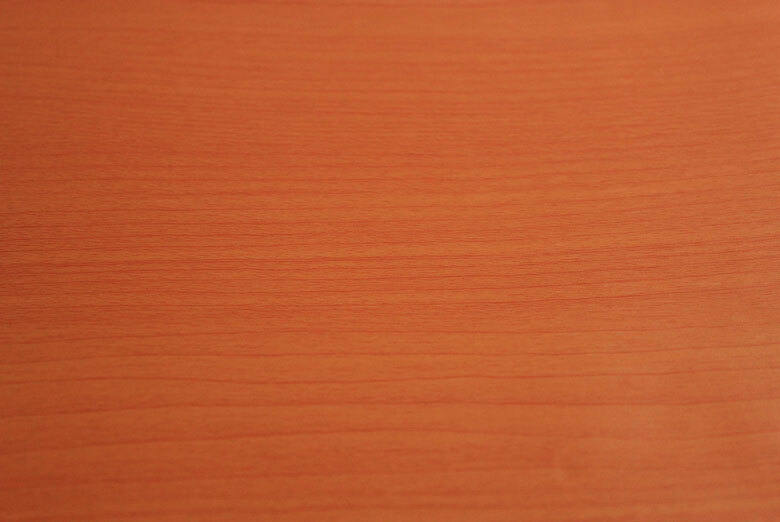 There are 10 grains and styles of wood vinyl to choose from. Step 1: Peel the vinyl film from the liner. Before doing so, be sure to clean and dust the area thoroughly because these vinyl door wraps behave just like wood grain contact paper. In other words, the liner and vinyl create a static electric charge which will attract dust and debris as the film is lifted off of the paper liner. At this stage only lift the film off about 3 to 4 inches and allow it to fold over so the face (non-sticky side) is touching the face. Step 2: Carefully position the exposed self adhesive wood grain vinyl film to the edge of the furniture, cabinet or door's surface. Realign the sheet of wood grain vinyl and reapply as many times as necessary to ensure that it is on straight. Step 3: Apply pressure to the edges in order to stick the wood graining kit vinyl to the surface. Step 4: Using a squeegee at a forty-five degree angle, apply firm and steady pressure from the center and out towards the edges. As you proceed, slowly remove the liner from the film. Do not squeegee until the liner has been pulled out from between the woodgrain vinyl wrap and the surface of the furniture being wrapped. (OPTIONAL) Step 5: If there are knobs, handles or other hardware to be attached to the cabinet doors or drawers, attach them only after the film has been applied. As a woody conversion wrap for PT Cruisers, station wagons and, yes, even a Porsche. As a dash wrap for cars, trucks and even boats. As a film for crafting use in electronic vinyl cutters to make lettering, signs and graphics. 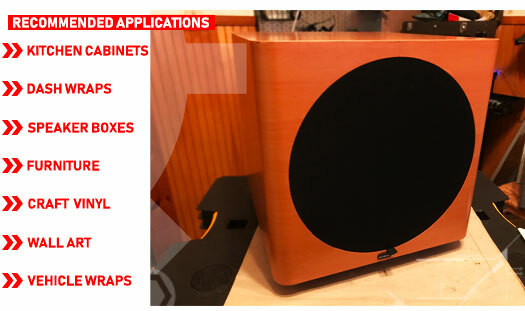 To wrap audio equipment such as speaker boxes and sub-woofers. A cellphone and tablet wrap. It's pretty clear that we haven't even scratched the surface of everything you can do with this woodgrain film but we thought the list above might get you started. However you decide to use these Rwraps™ be sure to send in your pics and write a review to get discounts ad up to a $20 Rebate Refund! When you want the look of real wood in your Acadia without the price tag look no further than Rwraps® wood grain vinyl films. Made from ultra thin, thermo-formable, self-adhesive vinyl for easy, DIY installation you just wont find a better value or look anywhere. Browse our great selection of woods and upgrade your ride today! Vinyl product was very easy to use and apply. I liked the product but the price was way too high after i got your product i found a better quality more quantity for way less money. Just received my rvinly today it looks great thank you. It looks awesome in place, can’t wait to finish fitting it. Will send in a picture or two after I finish the installation. Good product. Order more than you think you need and use application spray. This wrap worked just like I hoped it would. I used a little heat to help conform it and it turned out great! Product was easy to install with no additional tools required. Be careful with heat as film is thin. Very pleased with your products! This is My 2nd time purchase. Very pleased with your products!